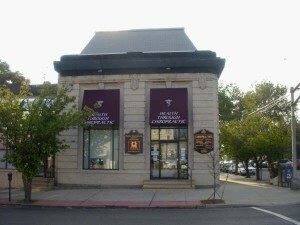 The Family Chiropractic Center of Bayonne is located in a historic building in Bayonne on the corner of 33rd Street and Broadway. All care is centered on maximizing each patients health potential utilizing various Chiropractic techniques that best suits his or her needs. Adjuncts to care that are available to each patient include Physical Therapy, Nutritional Supplementation, Massage Therapy, and specific diagnostic testing. Dr. Noah is a lifelong Chiropractic patient. At a very early age Dr. Noah suffered from chronic strep throat and earaches. His health was restored from specific Chiropractic adjusting and to this day Dr. Noah has not had either of these ailments again. 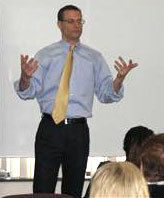 Dr. Noah attended Montclair State University and graduated with honors from the biology department in 1997. Immediately after graduation Dr. Noah went to Life University in Atlanta, Georgia and graduated in December 2000 with a doctorate in Chiropractic. Dr. Noah is a member of the Association of New Jersey Chiropractors, an avid runner, a certified Toastmaster, a Rotarian, and a Board Member of the Ahern Scholarship Foundation. He has been married to his beautiful wife Kerri for 6 years and has two beautiful sons. Thompson Terminal Point Technique – The Thompson Technique requires the patient to lie on a special table, the length of your legs will be compared. This protocol helps determine whether the nerve interference is in your upper, middle or lower back. The special table has individual cushions or “drop pieces” that support each area of the spine until the thrust is given. Then, each drop-piece gently releases, reducing the amount of energy needed to help restore the motion and position of a specific spinal segment. Diversified – This technique focuses on correcting misalignments in the spine which may be causing pain and/or spasm and can cause interference to the nerves, which pass through the spine. Relieving the nerve interference can improve a broad range of health problems by improving the nervous system’s ability to communicate, regulate, and coordinate healing of the body. The doctors will most likely use their hands to deliver a precise and careful thrust to correct the misalignments. Webster’s In-Utero Constraint Technique – The Webster Technique, discovered by Dr. Larry Webster, founder of the International Chiropractic Pediatric Association (ICPA), is a specific chiropractic adjustment for pregnant mothers. It is a chiropractic technique designed to relieve the causes of intrauterine constraint. Formerly known as Webster’s “In-Utero Constraint Technique” or “Webster’s Breech Turning Technique,” the Webster Technique was developed by Dr. Webster in 1978. It has been highly successful in relieving intrauterine constraint and helping to convert breech presentations to cephalic presentation for more than 20 years.